Instagram/KailijumeiThese jelly lipsticks are a hot commodity. 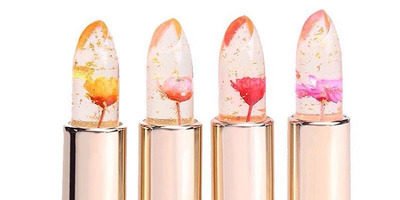 Jelly lipsticks are now all the rage. 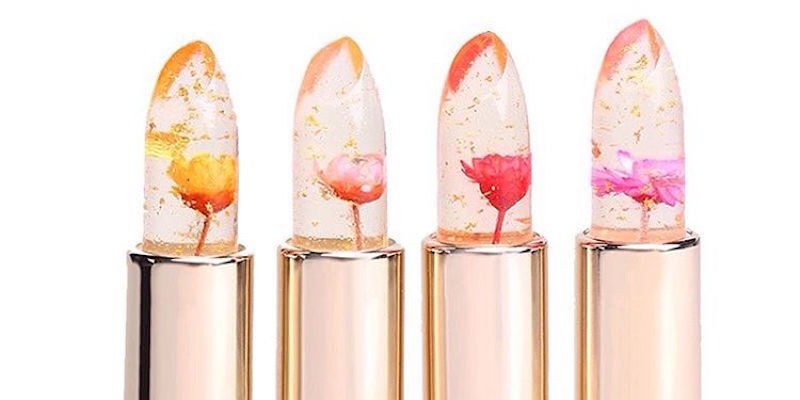 These gorgeous, clear jelly lipsticks from Kailijumei, a China-based beauty company, are infused with gold specks and a real flower. The lipsticks come in three colours, and even though they clear, users say they leave a pink shade behind. The colour also changes based on your temperature, so the colder you are, the lighter the pink. Kailijumei also makes a flower lip balm, as well as plain jelly lipsticks without flowers. All of the floral lipsticks are currently sold out, but you can preorder them for $30. The plain lipsticks are $25 and are also sold out.